Father’s Day 2010. 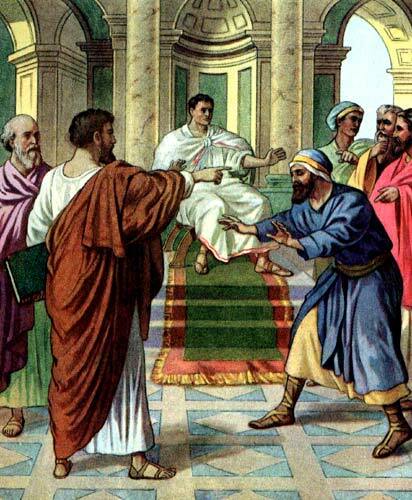 Fathers and Pharisees – pretty much the theme of my day. It started off spending some time reading Jonah. Then turned to Dave Marsh’s message on Phariseeism and ending up later dwelling a bit more on the parable of the unforgiving servant. I love the book of Jonah because of how the heart of God is revealed in both his heart for the sailors on Jonah’s boat as well as his heart for the Ninevites. But this time reading through it, I tried to dwell on why Jonah was so angry towards the end of the book. Why is Jonah so angry? The Ninevites listened and repented pretty genuinely! This would be like Jonah travelling to Las Vegas and the town gets turned upside down. He practically states that he is angry because God did not wipe out Nineveh. What? No way am I like that. No way do I wish the worst on my neighbor after their daughter appears to have been beaten. No way do I wish the worst for that crazy speeding driver who cut me off and then recklessly continues. And no way do I ever get angry with my kids because they didn’t obey and took away my well-earned peaceful morning/afternoon/evening instead of resting quietly in their beds. Not ever. I’m not like Jonah at all. Jonah’s problem is the same as mine – his self-righteousness and entitlement and his detachment from his own sin. This leads to an utter deterioration of his own compassion, to the point where he cares more about a dumb plant than a people who “don’t know their left from their right.” Those Ninevites are sinners, debauched, they’ll never repent, they’re evil and just bring hurt on others. They’re at a level of sin that is beneath me. Of course, I would never make that last statement but isn’t that what we’re saying? The age old, “at least I’m not Hitler or Ted Bundy. Now those guys are definitely going to hell.” And yet we deserve hell just as much. We all sin. All the time. Over the stupidest things. We hurt our kids. We selfishly hurt our spouses. We fight tooth and nail for our (not anyone else’s) own best life now. No different than Jonah. Get in touch with your sin and you’ll find that compassion comes along with it. Don’t and you might end up continuing in anger, like Jonah, hoping for the Ninevites to simply die and go to hell. Today was the first message given by my friend (and fellow engineer) Dave Marsh. Let’s just say he didn’t exactly water down the truth or hide his own struggles. His story to begin the message was worth the listen alone and left me in tears as Dave was. Listen to it here. I love how Dave tied together the thought of a loving accepting father with some thoughts on the Pharisees. We tend to make the Pharisees out to be the evilest and vilest of dudes. See the movie, The Passion of the Christ for a good example or any kids’ Bible. Why do we paint the Pharisees this way? Probably because Jesus can seem kind of harsh with them and also because we have to find ways to distinguish ourselves from these guys. In no way do we ever want to be associated with the Pharisees. We want to associate with a dude like the tax collector or maybe the younger brother of the parable of the Prodigal Son (a misnomer). But the reality is that most of us are more like the Pharisees – self-righteous, prideful, self-protecting, judgmental, status-seeking, and self-exalting. Dave delves into these a bit more in his message especially in his wrestlings with his own struggles over the past few weeks. Very convicting and powerful. 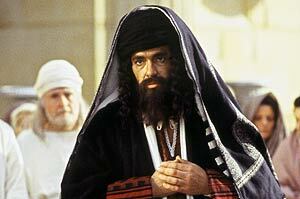 We make the Pharisees out to look more evil and despicable because we think we’re not like them. But Dave makes it a point to describe them more accurately as people who genuinely were trying to obey and love God but their devotion to the Word and to tradition and to their own status simply ended up overpowering any love for the Father or trusting in His acceptance over their own efforts. Jesus absolutely takes their self-righteousness apart in the first half of Luke 14 and Dave really does a good job of expositing the passage. The point: glory in your weakness instead of your own efforts as the Pharisees did. This afternoon I was able then to get some down time journalling and praying and reading the Word. Somehow what I got directed towards Matthew 18:21-35 which topped off my day and was exactly what I needed to hear, especially in my personal battle with anger. Now I have probably read or heard this passage maybe 50 times since I’ve known Jesus (about 15 years) and I have to confess that not once have I been taught or dug deeper to find out how much a talent is or how much a denarii is. I think I just always assumed that 10,000 talents is a lot and that 100 denarii is a little. But it’s a bit more than that and I calculated it today. Let’s look at a denarii first. A denarii was equal to about 1 days wages for a laborer. So 100 denarii equals 100 days wages. Let’s say that a laborer’s wages in today’s age comes to conservatively about $30,000 per year. Rounding up conservatively, that makes this debt about $10,000. That average American’s credit card debt. Now let’s look at the talent. A talent was equal to about 20 years’s wages for a laborer. Wow! Guess how 10,000 talents adds up? Using the $30,000 per year, it means that 10,000 talents equals an obscene 200,000 yrs of wages for a laborer. That equals about $6 Billion in debt. “Have patience with me, and I will pay you everything”? Not a chance. Then the king forgives the $6,000,000,000 in debt and this guy goes out with practically a new life and won’t forgive a $10,000 debt. It’s laughable and meant to be. But extremely convicting in the satire. Why did the first servant respond so unforgivingly after being forgiven that much? Why do we struggle with forgiveness so much at times? The servant had been forgiven an eternity of debt and yet I think he was still living in light of the temporal. He was given a second chance, new life, and he was still living in the old life. That’s his problem to me. He doesn’t get what he was really forgiven so he goes about his business still protecting his temporal life and fighting ultimately for his best life now. This wrecked me. This is how I live most of the time – in light of the temporal. I fret over minor issues or high expectations or my kids’ disobedience like I’m in control and like I have no sin and like I’m not playing with house money. The unforgiving servant lived like a Pharisee – he still saw himself as under the debt of performance and amounting value instead of a man who was just given a new life. Father, let me live in light of my own sin, glorying in my weaknesses, and then in view of your mercy, how I have been forgiven an eternity of debt through Jesus Christ’s death on the cross. Let me start with the first step. Hi, my name is Anthony and I am a recovering Pharisee. Please pray for me.